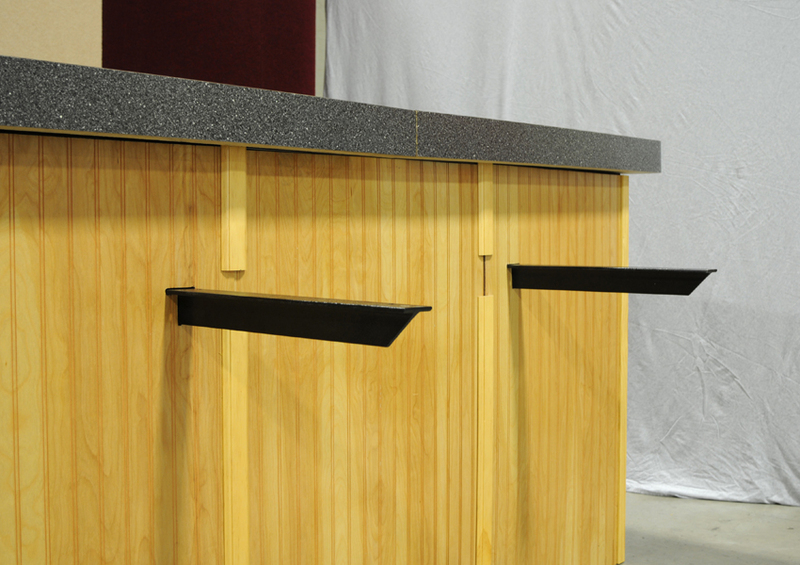 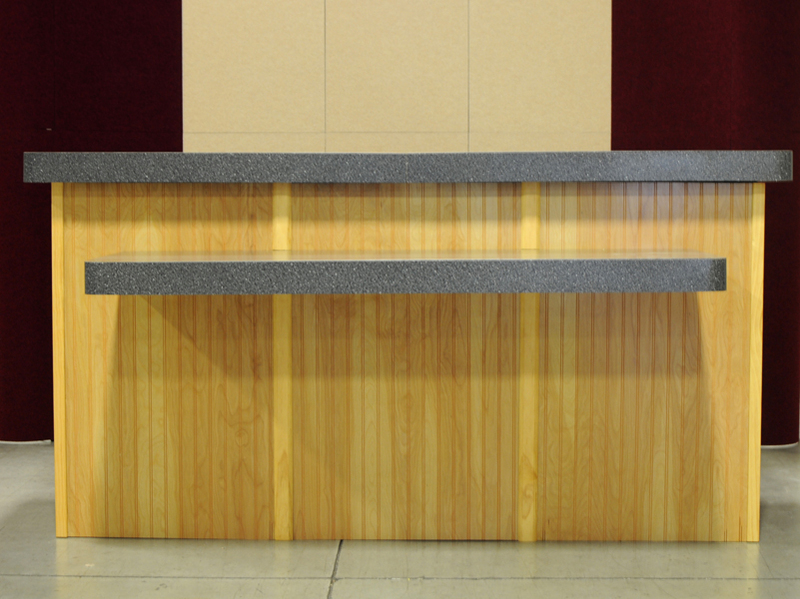 This Island was made using our Extended Concealed and Concealed brackets. 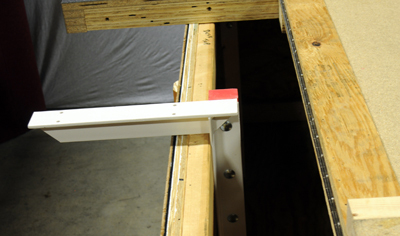 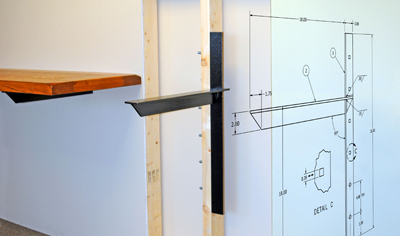 Extended Concealed brackets used to create a floating shelf. 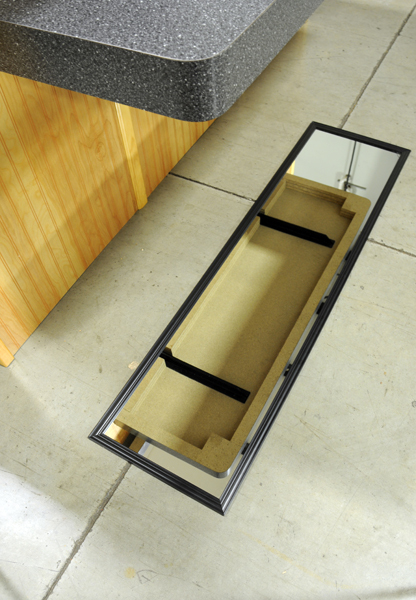 This picture shows the floating shelf from the bottom looking up. 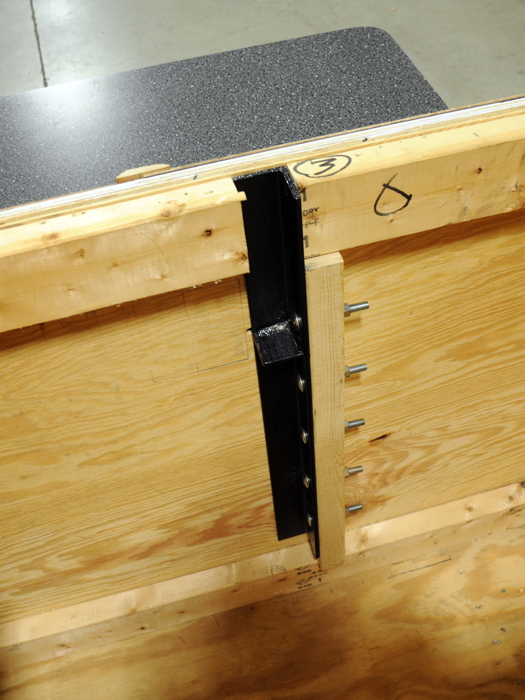 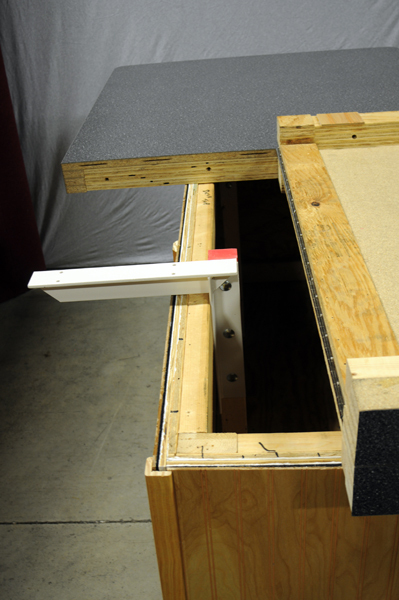 This picture shows the installation of the Extended Concealed bracket inside the island. 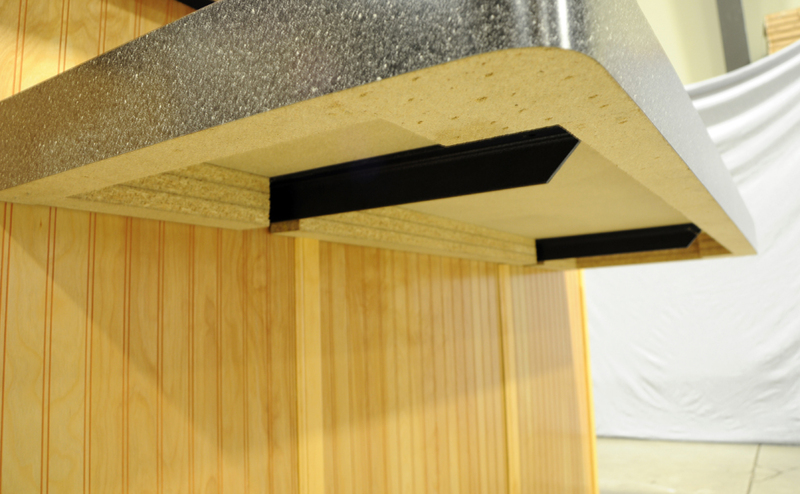 This picture shows the island with the floating shelf removed to show how material is installed over the Extended Concealed Bracket. 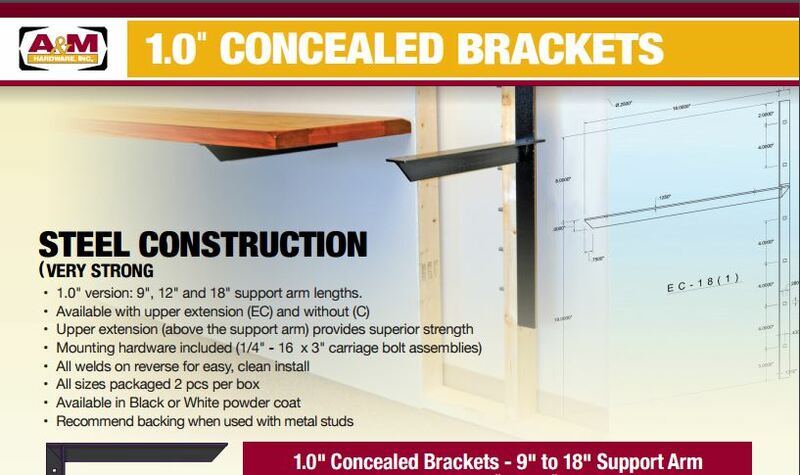 This picture shows how the Concealed Bracket is installed to support the countertop on the island. 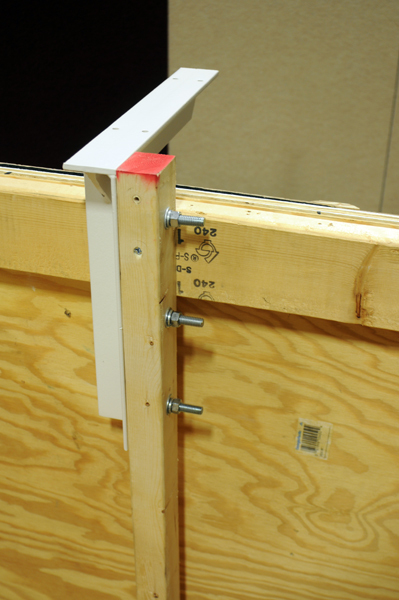 Another picture showing the usage and installation of the Concealed Bracket. 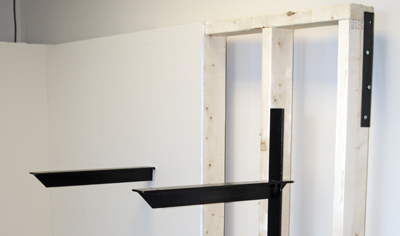 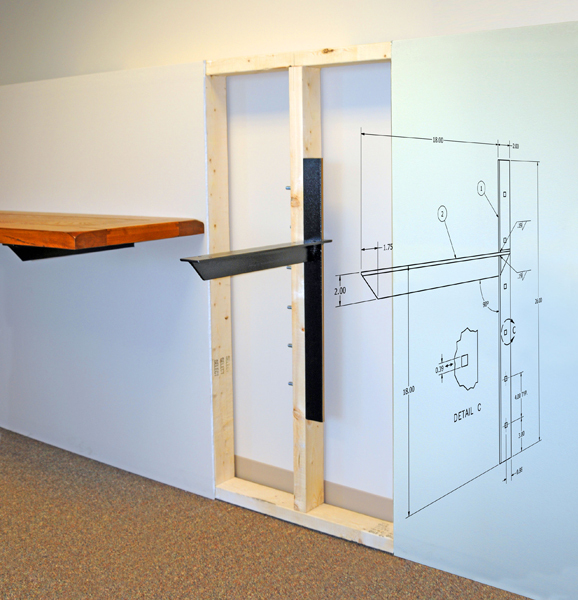 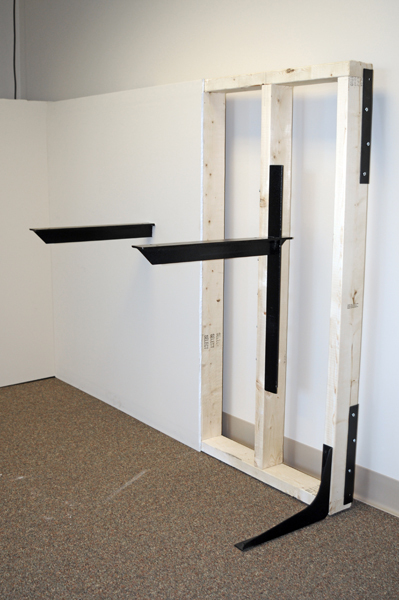 This picture shows the installation of the Extended Concealed Bracket behind drywall and how it looks when the drywall is installed overtop. 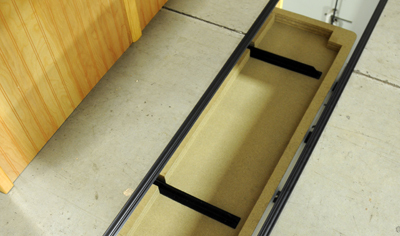 This is a very clean look for a floating shelf. 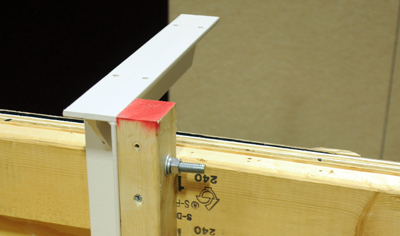 This picture shows the installation of the Extended Concealed bracket and a shelf on the bracket. 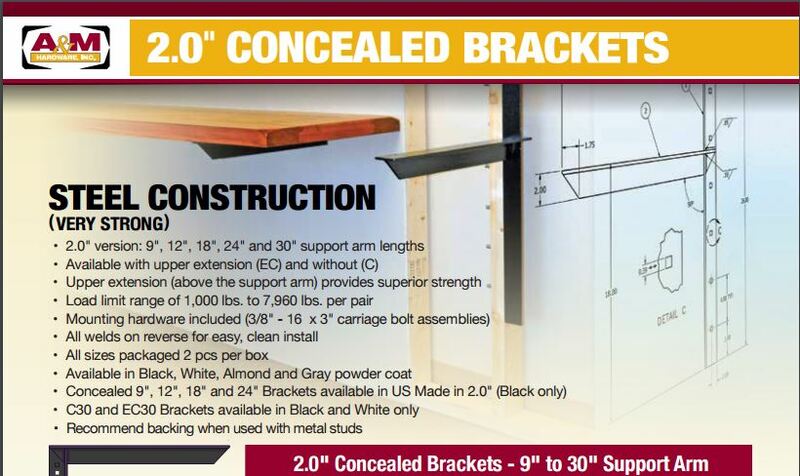 © 2019 A&M Hardware, Inc. All Rights Reserved.